The Glastonbury Abbey lecture series was established in the fall of 1999 to foster interfaith dialog. Each year a different general topic is presented and speakers are engaged to address it from the perspective of their own faith tradition. The topic for the series year 2018-2019 is "Prophets of the 20th Century: What Do They Say to Us Now?" Please join us to hear about these prophets from the speakers listed below. Lectures are held in the Morcone Conference Center at 7:15 pm. No registration required. Seating is on a first come, first seated basis. Parking is also limited. Therefore, we advise that you carpool when possible. Lectures are free. Donations gratefully accepted. Presenter: Kate Hennessy is the youngest of Dorothy Day’s nine grandchildren. 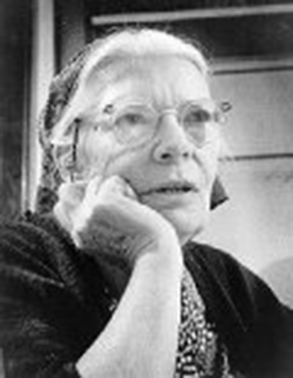 She is the author of Dorothy Day: The World Will Be Saved by Beauty, published in 2017 by Simon & Schuster. Ms. Hennessy is a writer and musician who divides her time between Vermont and Ireland. This Lakota holy man was a second cousin of Chief Crazy Horse and present at the Battle of Little Bighorn. He converted to Catholicism in his 40’s, but still embraced the way of the earth and the Lakota people as well as Christianity. He was equally both, an integration of both, and this was incomprehensible to both cultures. 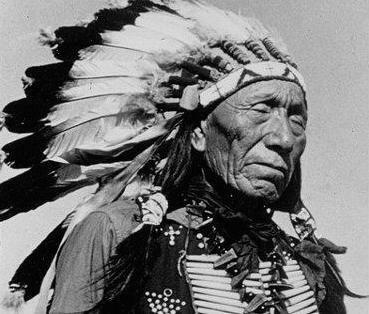 He became internationally famous through the book, Black Elk Speaks by John G. Neihardt, published in 1932. Presenter: Joseph Marshallwas born and raised on the Rosebud Indian Reservation in South Dakota. He has written nine non-fiction books and three novels. He is a historian, teacher, and craftsman of Lakota bows and arrows. He has written several screenplays and is also an actor who has appeared in television documentaries. He lives in New Mexico. With sad eyes and quiet strength, this survivor of Auschwitz told the world it must never forget the Nazi horror. 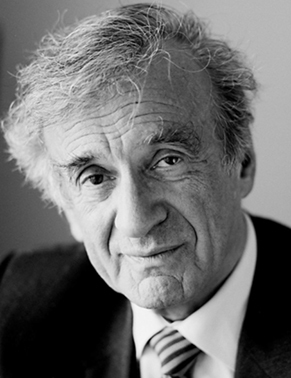 “Because if we forget,” he said, “we are guilty, we are accomplices.” Mr. Wiesel, who wrote 60 books including his seminal Holocaust memoir, Night, was the Andrew W. Mellon Professor in the Humanities at Boston University. He received the Nobel Peace Prize in 1986. Presenter: Rabbi Joseph A. Polakis the Boston University faculty colleague and friend of Mr. Wiesel, who referred to Joe Polak as “my rabbi.” A native of The Hague, Netherlands, Rabbi Polak was an infant survivor of two concentration camps. His memoir, After the Holocaust the Bells Still Ring, won a 2015 National Jewish Book Award. 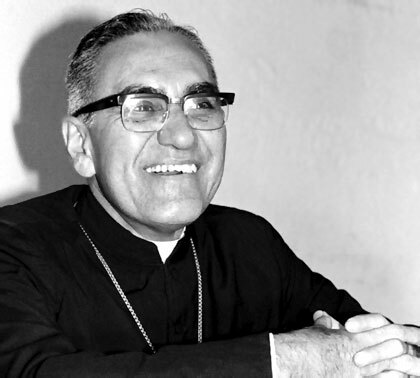 Archbishop Oscar Romero was considered conservative when appointed in San Salvador in 1977, but the murder of close friend and activist priest, Rutilio Grande, drove him to demand justice for that killing and for the country’s impoverished people. Oscar Romero’s passionate homilies and radio broadcasts resulted in a sniper’s bullet to the heart as he was offering Mass. His canonization, blocked by prelates believing he was killed for his politics not his faith, was pushed forward by Pope Francis in 2018. Presenter: Michael Lee is the Associate Professor of Systematic Theology at Fordham University. His latest book, Revolutionary Saint: The Theological Legacy of Oscar Romero, was published in 2018. Born in Miami to Puerto Rican parents, Professor Lee is fluent in Spanish and teaches courses in liberation theology as well as Latin American studies. 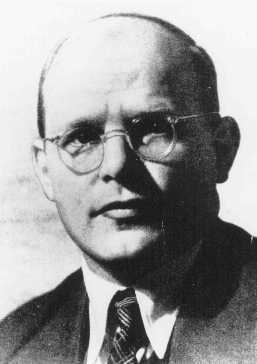 A Lutheran theologian from a wealthy, educated family, Dietrich Bonhoeffer had opposed the Nazi regime from its earliest days and could have found safe harbor in the US. But he left an academic post in New York to return home and work in the resistance. He helped Jews flee the country and was arrested for being part of a plot to assassinate Hitler. After two years in prison, he was hanged at the Flossenburg concentration camp. Presenter: David P. Gushee is the distinguished Professor of Christian Ethics and Director of the Center for Faith and Public Life at Mercer University in Atlanta, GA. A Baptist who supports LGBT rights, he has written or edited 20 books, including Still Christian: Following Jesus Out of American Evangelicalism and Righteous Gentiles of the Holocaust. His nonviolent campaign for India’s independence moved glacially through hunger strikes, marches, boycotts, and imprisonments, ever pressing the British Empire to let go of a province destined to be a free nation. 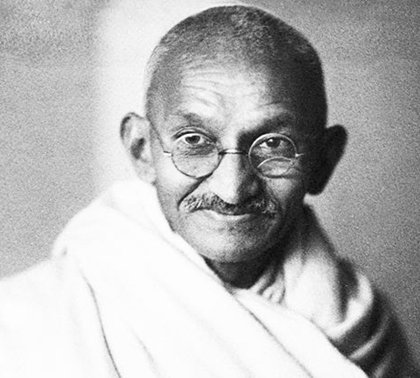 Gandhi’s victory through civil disobedience rather than war inspired Martin Luther King Jr., Nelson Mandela, and demonstrators around the world who have gathered peacefully to speak their truth. Presenter: Arun Gandhi is the fifth grandson of India’s iconic leader. Born in South Africa, Arun Gandhi experienced the hatred of whites and blacks. His weapon was hating back. But when he was sent to live with his grandfather in India he learned the power of peace. He is an international lecturer on nonviolence and author of several books, including The Gift of Anger. He lives in Rochester, NY.